In this true story, students examine the case of a woman with a family predisposition to cancer who is considering genetic testing. Students learn about various aspects of DNA testing and determine how to counsel the woman. 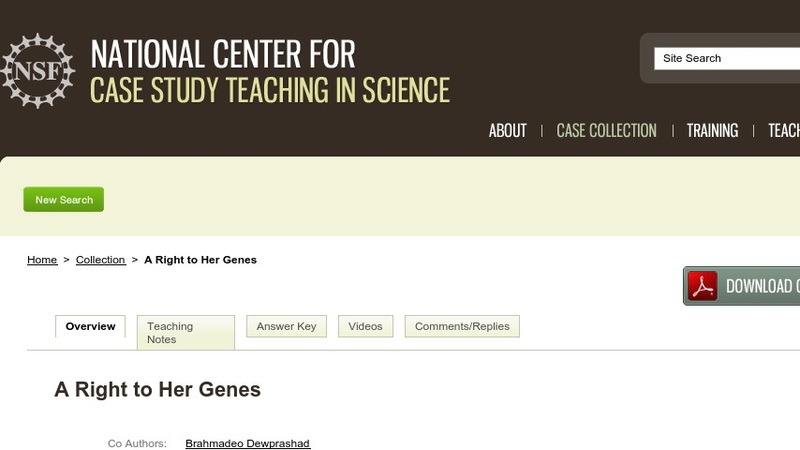 The case was designed for an advanced undergraduate molecular biology course but could be modified for an introductory biology, genetics, or ethics classes.